With wireless technology built in, connecting the Brother MFC-8870DW is the easiest way to add print, scan, fax, and copy capabilities to your small to medium sized office. The unit comes complete with fast print speeds and automatic duplexing built in, as well as a full range of powerful functions designed to streamline your workflow. The Brother MFC-8870DW performs at speeds of up to 30 pages per minute when printing or copying, ensuring that even large workloads are executed quickly. Also helpful when dealing with large copy tasks is the built in automatic document feeder. The ADF on the unit can hold up to 50 sheets at a time, which allows for huge stacks of input to be loaded at once. The copy machine is also of a flip top, flatbed design which conveniently allows users to make single copies of full, legal sized input, or copy three dimensional objects such as books. Faxing capabilities are very good due in large part to the built in 33.6 Kbps Super G3 fax modem which allows for a transmission speed of approximately 2 seconds per page. With the ADF in play, large faxes will be transmitted and processed quickly and with minimal user involvement. Fax memory allows for up to 600 pages to be stored digitally within the unit. This is very helpful under a variety of circumstances including paper outages and toner outages. Considering the networking capabilities of this unit, it is highly possible that the Brother MFC-8870DW will be forced to deal with simultaneous tasks, and the fax page memory allows for data to remain intact during these circumstances. 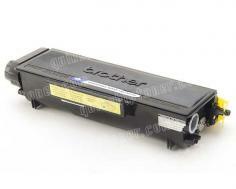 Probably the biggest stand out feature of the Brother MFC-8870DW is its wireless technology. 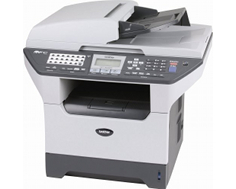 With a heavy duty wireless copy machine such as this, one's entire small office can be set up and printing within minutes, if not seconds, and PC faxing is also available over the network. The standard memory of 32 MBs is enough for most processes that the Brother MFC-8870DW is designed for; however, seeing as the unit is designed specifically for sharing over a network, this amount of memory could prove insufficient. Brother has included an expansion option allowing users to upgrade RAM all the way up to a total of 544 MBs, which should help under heavy conditions. The unit's duty cycle is also slightly lower than one would imagine. With only 20,000 pages of maximum monthly duty, and 500 to 3,500 pages of recommended duty, this wireless device may not live out its maximum lifespan under strenuous office conditions. 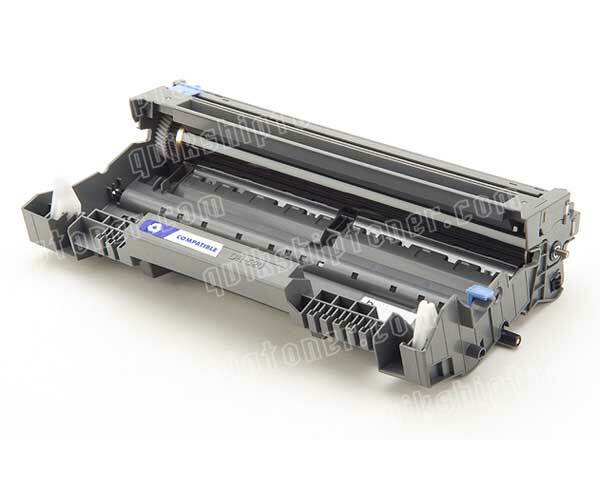 Review it: "Brother MFC-8870DW "
The page yield for the drum unit available for the Brother MFC-8870DW is conveniently high, and offers up to 25,000 pages from a single unit. This ensures that drum replacements will not happen often, even under heavy printing conditions. 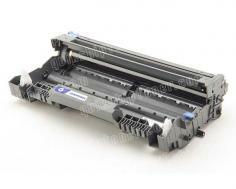 High yield toner cartridges are also available which carry up to 7,000 pages worth of toner at 5% coverage, as opposed to the standard cartridges which hold only 3,500 pages worth.